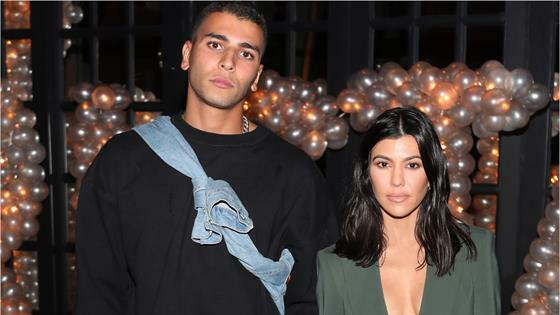 As 2018 winds down, Younes Bendjima is reflecting on the good times he shared with Kourtney Kardashian before their split. The 25-year-old Algerian-born model posted on his Instagram Story on Sunday, a day before New Year's Eve, photos of the 39-year-old Keeping Up With the Kardashians star from one of their numerous vacations together. "Let's not forget this beautiful woman inside and out," he wrote. "I'm not the type of man that forgets moments like that. You [are] an amazing woman and mum and I hope you will find happiness for you and your childrens. It's all love at the end of the day...we don't know what can happen tmw so there you go." E! News learned in August that Kardashian and Bendjima had broken up after dating for almost two years. It marked her most serious relationship since she split from Scott Disick, the father of their three children, in 2015. In recent months, Kourtney has been romantically linked to Grown-ish actor and family friend Luka Sabbat. In November, she joined him in celebrating his 21st birthday and the two also attended Sean "Diddy" Combs' 49th birthday party together. "She doesn't see it becoming an exclusive committed long term relationship like she had with Younes," a source told E! News at the time. "But she never thought that would happen with Younes either. She's not over-thinking it. She just knows she's very happy when she sees Luka and is always excited to see him again."